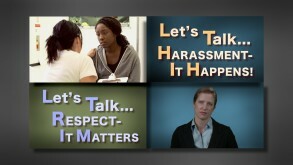 > Topics>Harassment>Let's Talk . . . Harassment-It Happens! 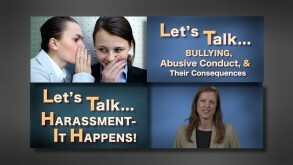 This 10 minute program defines Harassment, its impact on people and organizations, and its remedies. Lets Talk . . . Harassment - It Happens! 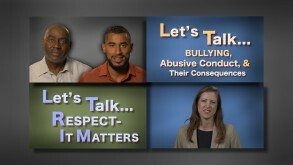 is a concise but comprehensive stand-alone program that is part of the Lets Talk series on forms of Workplace Harassment. Harassment can occur in any organization, and the program addresses the topic in a straightforward, easy-to-understand manner. 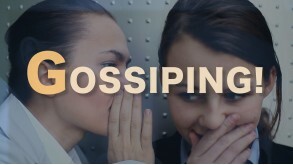 It can be used on its own or to fine-tune other, more general, Harassment and Respectful Workplace programs. 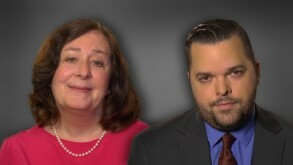 An excellent guide to addressing Harassment, the program both engages the viewer and covers a lot of ground including such legal concepts as Tangible Employment Action and Vicarious Employment Action Liability. Its a great tool to help achieve a happy, productive workplace.